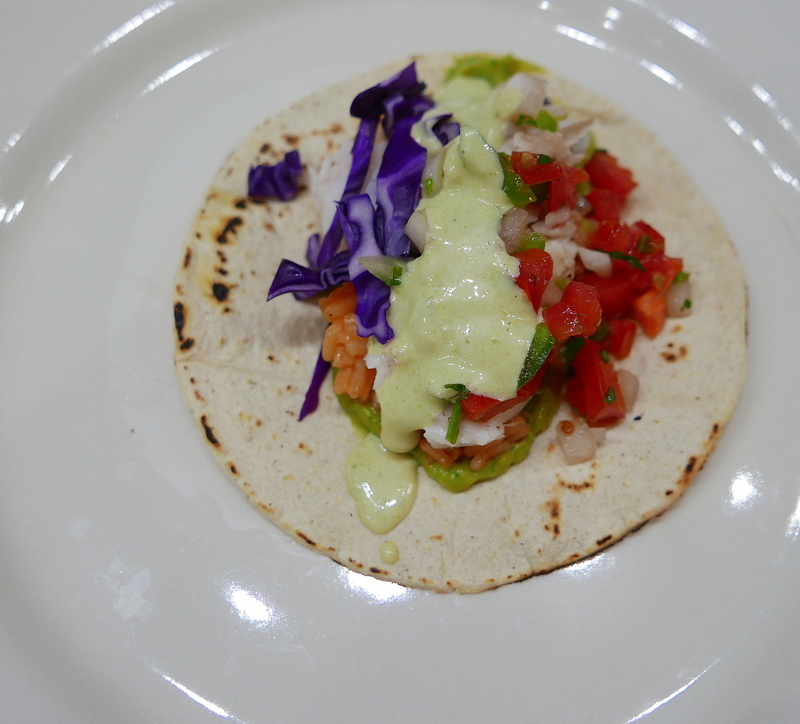 When many think of food and San Diego it is the fish taco that first comes to mind. That’s odd considering that what we know as the fish taco originated south, not north, of the border. The real reason they tend to be associated with San Diego is the fact they were popularized in this country by San Diego native son Ralph Rubio and his Rubio’s Coastal Grill fish taco chain. Columbus may not have discovered America and Ralph Rubio may not have invented fish tacos but it seems they both had good press agents. I’ve never really been a fan of the beer-battered fried anonymous fish parts that are what passes for fish tacos in the eyes of many. That, however, is what Rubio supposedly “discovered” when he went to San Felipe over a college Spring Break. It is, undoubtedly, what built his empire. Was that, however, the “original” fish taco? Tommy Gomes of San Diego’s Catalina Offshore Products tells a different origin-of-fish-tacos story. Gomes describes Baja fishermen chopping and cooking up the less-marketable parts of their haul beachside with spices and eating them in warm tortillas. True or not, it’s a story with an inherent plausibility. 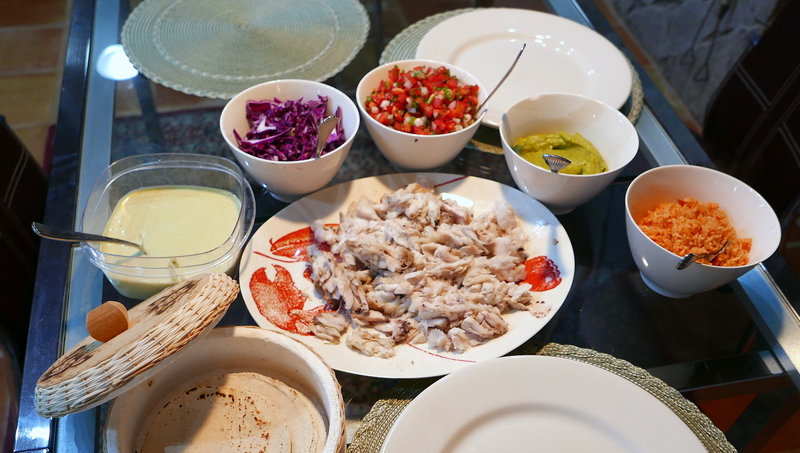 And, of course, health-conscious, outdoorsy Southern Californians could not help but come up with the idea of filling those warmed tortillas with grilled versions of the catch. For my version of fish tacos I went with an even older approach to the fish: salt baking. Nearly every European country on the Mediterranean claims the technique of cooking proteins in a salt crust as their own: the Spanish, French and Italians in particular. But the Europeans aren’t the only ones claiming the technique as their own. The Chinese have been salt baking chicken since Qing Dynasty (1644-1911) and the North Africans cooked shad in salt back in Medieval times and salt-baked fish may even date back to the Phoenicians. The first choice I had to make was the fish to use. A trip to Popotla, a Mexican fishing/pirate village just south of Rosarito Beach, yielded a wealth of choices. Kashrut’s limitations on useable fish are minimal: to be kosher it must have both fins and scales. It gets a little more complicated with sturgeon and swordfish, which have scales early in life but lose them later on. Basically, though, if you can easily remove the scales it’s kosher. I chose a gorgeous red and black Sheepshead. After stuffing the fish with cilantro, onion and lime, I encased it on a baking pan in a crust made of egg whites and Kosher salt. 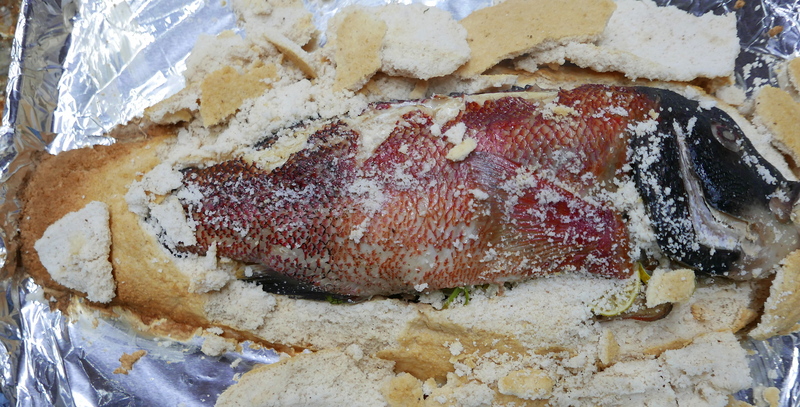 After a half hour bake in a hot oven what emerges is a succulent fish, its juices sealed in by the salt crust. Pairing it with a classic salsa bandera (think pico de gallo salsa), guacamole and a jalapeño mayonnaise that recalls the Rubio’s paradigm brings the Mediterranean-style salt baked fish back to the Baja/San Diego border. Make the Salsa Bandera. Preheat the oven to 450° Fahrenheit. Bring water to a boil. Place diced onions in a strainer and plunge into the boiling water for no more than ten seconds. Remove and rinse with cold water. Combine the onions and all of the remaining ingredients in a non‑reactive bowl. Add salt and sugar to taste and refrigerate for at least one hour. Remove from the refrigerator ten minutes before serving and adjust seasoning. Salt Bake the Fish. Meanwhile, line a large rimmed baking sheet with foil. Either by hand or using a standing mixer, whisk the egg whites to soft peaks and fold in the Kosher salt. Place the cilantro and limes in the fish’s body cavity and set aside. Place 4 tablespoons of the salt-egg white mixture on the foil-lined backing sheet and place the fish on top of the mixture. Spoon the remaining mixture over the top and mold it around the fish. Place the fish in the oven and bake for 25 to 30 minutes. Make the Guacamole. Combine the shallots and salt to the bowl of a food processor. Process for 10-15 seconds until finely chopped. Add the tomato and process for 30 seconds until the tomatoes have combined with the other ingredients. Scoop the flesh from the avocados and add to the bowl of the food processor. Along with the lime juice and a half teaspoon of extra virgin olive oil. Process on pulse until the reach a chunky mashed texture. You can take it to a smooth purée if you like. I, for one, don’t like. Make the Jalapeño Mayonnaise. Place the garlic and salt in the bowl of a food processor fitted with the “S” blade. Pulse the processor until the garlic is pulverized, about 10 or 15 seconds. Add the egg and egg yolk to the bowl of the processor and process until fully integrated, about five seconds. Slowly, almost drip by drip, drizzle in the oil until it is fully incorporated and the sauce fully emulsified. Add in the lime juice and process to fully combine. Remove and reserve for another purpose enough of the sauce to leave only about 2 cups of mayonnaise in the food processor’s bowl. To that, add the remaining ingredients and process to a smooth sauce. Taste and adjust the flavors (adding more chile pepper if you like or salt to taste). Shred the Fish. Remove the fish from the oven. 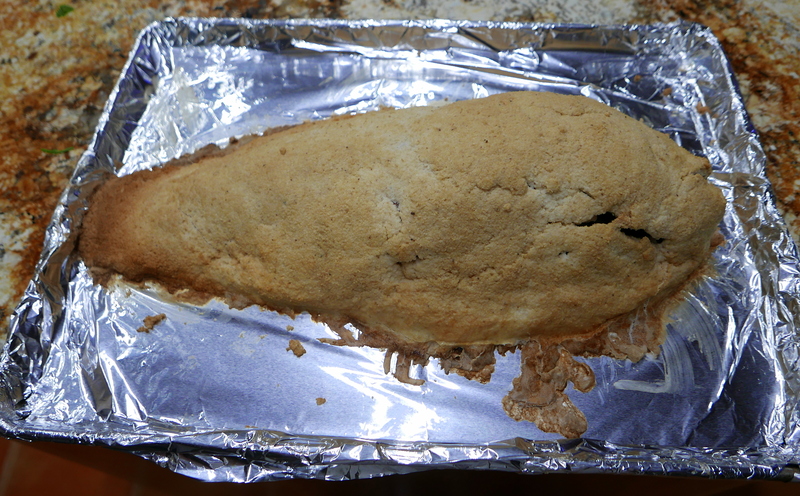 Using large knife, rap the crust on the fish sharply to crack it. 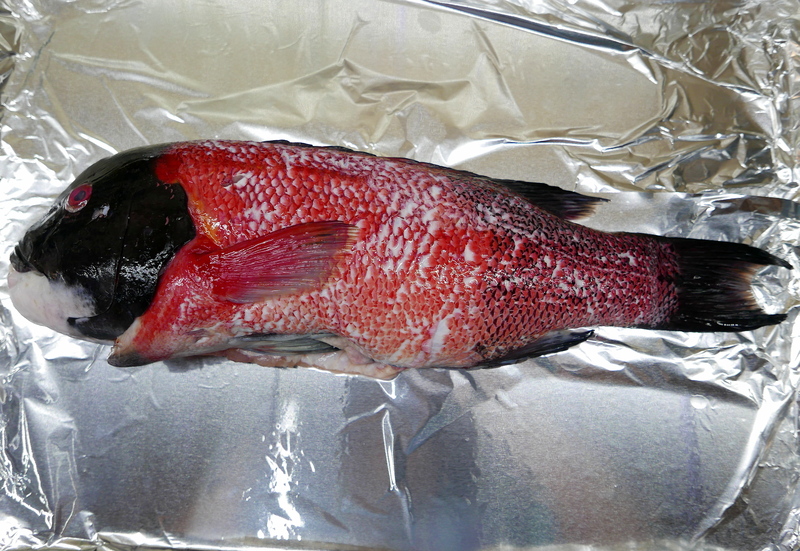 Carefully remove the salt from the fish, brushing rather than ripping. Using a fork, remove the flesh of the fish to a metal bowl and roughly shred it. Plate the Dish. Serve the fish on a platter, garnished with fresh cilantro. Alongside it serve the warm tortillas and bowls of the guacamole, salsa bandera, jalapeño mayonnaise, shredded cabbage and Spanish rice. Each diner can assemble their own to taste.